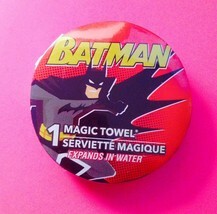 Home » Home & Garden » Bath » Towels & Washcloths » D.C. Comics Batman Magic Towel— New And Sealed—More Fun Characters Avail Too! 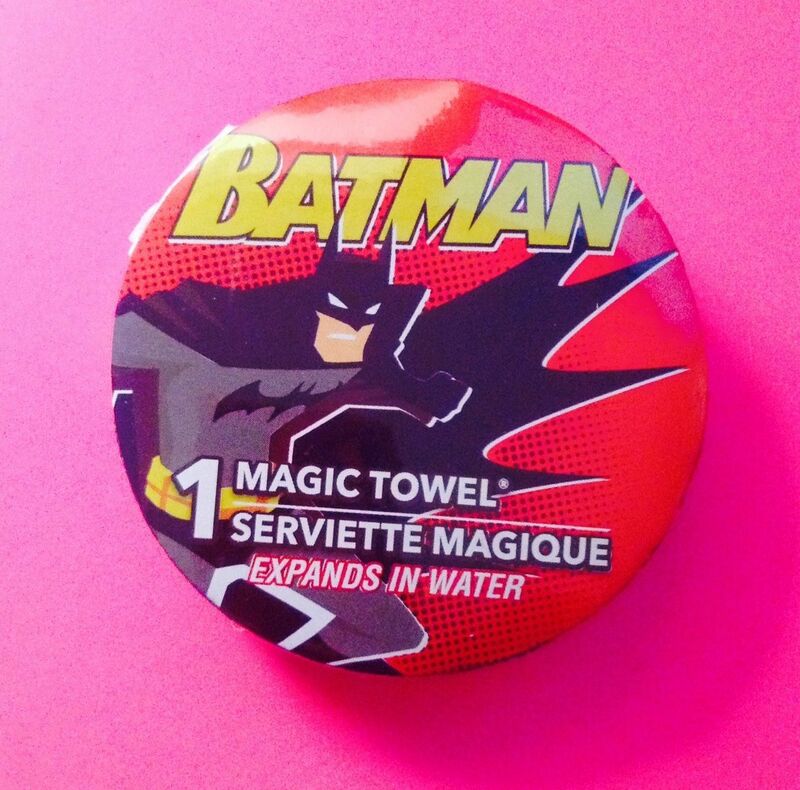 D.C. Comics BATMAN MAGIC TOWEL— New and Sealed—More Fun Characters Avail Too! Top-Rated SellerPopCrush consistently earns high ratings from buyers thanks to fast shipping and excellent service. Premium SellerPopCrush has been a Gold member on Bonanza since March 29, 2018. Item is eligible for return within 30 days of delivery only if the product packaging has not been opened. Buyer pays return shipping. Kids love Magic Towels! Licensed Character Magic Towel, measures 11.75" x 11.75" 100% cotton. Expands in water. We have more fun character Magic Towels available too. Please see! Be happy. Buy it now! --ALL ITEMS ARE BRAND NEW UNLESS NOTED.-- Ship US, Canada and UK only. Sorry DO NOT SHIP TO: New Jersey, Alaska, Virgin Islands, Guam, Puerto Rico, Hawaii, FPO, AND APO. Items mailed (to buyer's confirmed address only) within 48 hours after receiving payment. Please allow 10 business days for delivery If not completely satisfied with your purchase, you may return your item within 10 days for a full refund less shipping. All items are securely hand packaged. Thanks for stopping by. Your business is very much appreciated.